Above is the last meal of a Texas man executed in November 2006. He requested two double-meat bacon burgers, Freedom Fries, BBQ ribs, onion rings, root beer soda, banana split ice cream, and peach cobbler. 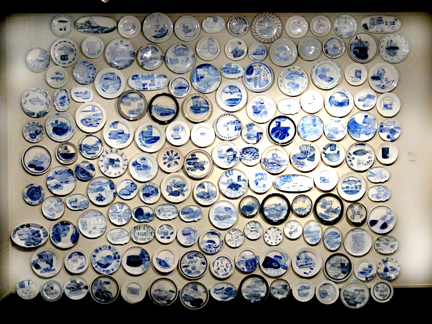 This is one of 500 plates Julie Green, an art professor at Oregon State University, has painted over the last five years. She plans to paint fifty more per year until the death penalty is abolished. According to Julie, in Texas, a condemned inmate cannot request a steak. Or bubblegum. In Maryland, requests are not even offered. And of course, what I think we all want. 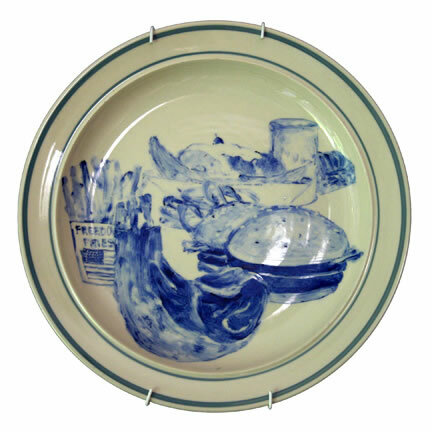 Julie’s plates have been displayed both nationally and internationally. In fact, her work was exhibited in the Fort Collins Museum of Modern Art where I live, but unfortunately, I missed it. 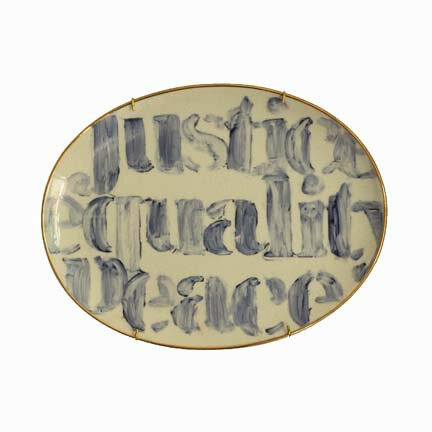 To read more about Julie Green, Last Suppers, and her other work, visit her at GreenJulie. For more on Folsom’s last requests, you can read about them in a previous blog post. Categories: Death Penalty | Tags: Capital punishment, condemned inmates, death penalty, death row, final meals, Julie Green, last requests, Last Suppers | Permalink. Texas banned last meal requests last year and they lead the country on executions. When I interviewed Khristian Oliver on the day of his execution in 2009, I was shocked at the simplicity of his request–fried chicken, chocolate ice cream and coffee. If it was my last meal, I’d pick something a little more elaborate. There’s another person who does pictures of last meals, but I can’t remember his name. I’m sure it’s just a google search away. Oh fascinating! I wonder why they would ban that. I know some states put a dollar limit on meals though. 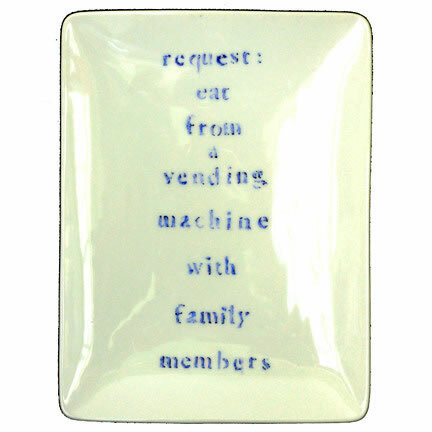 You’d be surprised at what some last meal requests have been–one was Kraft mac and cheese and Rice a Roni. I’ve done a lot research about women that have been executed. Last meals are particularly fascinating. Karla Faye Tucker only asked for a peach and a salad. What a fascinating study that would be–to compare what final meals condemned males and females chose. Thanks for the link and congrats on the book–it sounds interesting and I hope to snag a copy! I still have another year before mine is out, so it’s a lot of hurry up and wait. I understand the waiting game, and then it’s a rush to promote! Let me know when your book is release. Thanks for your interest! Her plates were in Fort Collins? I’m sorry to have missed it, too!